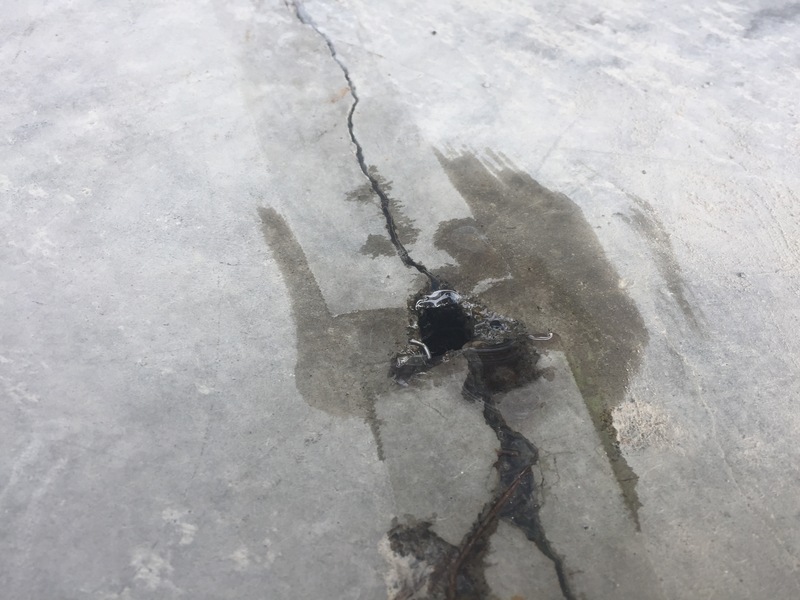 September 15, 2017 3264 × 2448 Full Depth Crack Injection with Concrete Mender. Inject Roadware 10 Minute Concrete Mender into the crack until the product appears under the tape. This repairs the crack from the bottom up. Work several hole at a time allowing the product to gel and seal the bottom as you go.